Every business operation (including property rentals), parcel of land, or structure must have its use registered with the City of Philadelphia. In order to register the use of a building, space, unit, structure, parcel, etc., this means applying for and obtaining a Use Registration Permit. Often this is also referred to as a Zoning Permit. 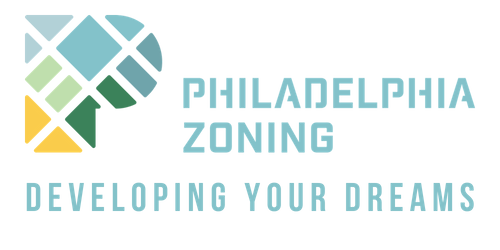 In Philly, the application for the permit is called a “Zoning/Use Application”. Same piece of paper and process; two commingling terms. Do not get yourself too bogged down in the terminology: Just know that you need a permit for the use of the operation. The use and the zoning can be registered together or at different times. For example: If someone is building a structure with a commercial space on the ground floor, but there is no tenant in there yet, the use registration on the permit would identify that the commercial space is ‘vacant’. For the sake of this guide, we are going to walk you through the process of registering a by-right use in an existing space. Another example of this would be if you have a CMX-2 property (that already has a Certificate of Occupancy) and you want to register the two residential units on top of your commercial space. The first step to getting any use registration permit is to determine if the use you are registering is allowed by-right, or as-of-right (also meaning: you do not need special approval, you just need to apply and register it). For the sake of this guide, we are going to assume that you have already determined that your use permit is going to be a by-right permit. A key plan is necessary to submit with your application if you are registering the use in a space that is among other uses. For example: We were registering the use of a tattoo studio on the second floor of a large commercial warehouse. We had to submit a key plan to the city to show the other residential and commercial spaces in the building. However, when we were registering the use of a different tattoo studio that was on the ground floor of a commercial mixed-use property and was the only commercial space in the building, we did not need to submit a key plan because it was the only business operation in the single commercial space. If you need to submit a key plan with your application to the city, your application will no longer be eligible for an over-the-counter or same-day permit. This is because the city needs to take the time to review the key plan. If you do not need a key plan, the good news is that you should receive your use registration permit the same day you apply for it. If you need help getting a key plan, please contact us at the form at the bottom of the page. You may download the application for a use registration permit here. Important note: In the space where it says “Property Owner’s Name” you will not be putting your name as the business owner, unless of course you own the property. You have to put the actual name of the property owner as it is on the City’s records. You can use the OPA property search to determine the owner of the property. It is important to check and determine the actual owner; do not assume it is someone’s name as it is likely an LLC. When in doubt, check it out. Take your completed application and a check made out to the “City of Philadelphia” to the basement of the Municipal Services Building located at 1401 JFK Blvd. Head over to Licenses and Inspections and pull an A ticket. Wait for your number to be called, sit with the kind ladies at the intake desks to get your application processed, and then pay for and collect your permit. If your permit was over-the-counter you should be finished with what you need to do to obtain your use registration permit. If you submitted an application for review, head to the next step in the guide. For permits that are not given to you the same day you applied, there will be a review period. Typically, review periods are up to 20 business days. If you decided to pay the acceleration fee of $420 when you applied, the review period is cut in half to up to 10 business days. Upin applying, make sure you collect your receipt and save your application # in a safe place. You are going to want to track your application status to make sure you receive it in a timely manner. After the review period is completed, you should receive a billing statement to the email you put on your application. If you did not receive a billing statement, but instead received a request for additional information, head over to our guide “How to Submit Additional Information to L&I” and follow the steps outlined there. If you have received a billing statement, great! Print it out and write a check made out to the ‘City of Philadelphia’ for the amount that is listed on the billing statement. Head to the same location; the basement of Municipal Services at 1401 JFK Blvd with those two items. Pull a “D” ticket in the basement of L&I; hand them the billing statement and check and then collect your permit. Still Confused? Lost (literally)? Don’t Have Time to Deal With It? No worries! We can do the heavy-lifting (or paperworking ;]) for you! It’s a lot of steps and there are a lot of moving parts to getting it done right and completely. Things can easily fall to the wayside when you try to do it yourself; we get it. It doesn’t make much sense to avoid getting the proper permit, as you will be way worse-off in the long run. If you start running a business without the proper permits, you will be issued violations with fees tacked onto them, and your business can even be shut down! In some cases, you probably can’t even open your business with the proper licensing. Hopefully this guide will help you take the steps necessary to get your Use Registration Permit. If you still assistance, we can help you! If you know that you need a use or zoning permit, please fill out the form to get started. Please describe your project in detail. Include anything else you think we should know. 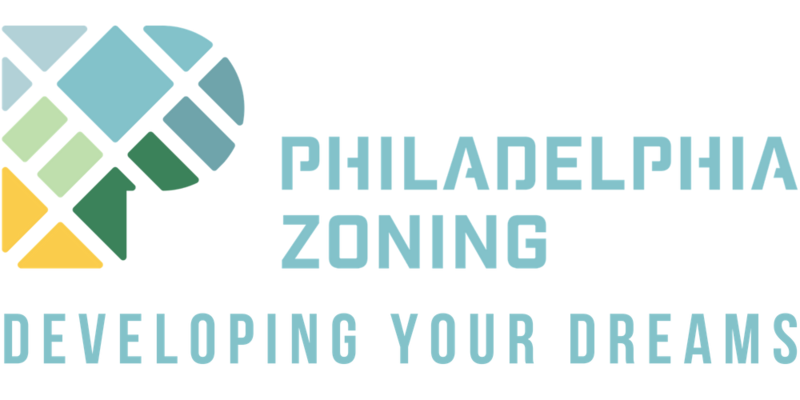 How Did You Hear About Philadelphia Zoning? You acknowledge that are opting in to receive our communications. You may opt out any time by clicking 'unsubscribe'.